Women, especially those in their 30s, are the most reliable mortgage candidates in Canada, according to Toronto-based author and money coach Lesley-Anne Scorgie. Scorgie—who wrote three books on fiscal responsibility for young women and couples—stated that a closer look at individual credit scores will reveal that Canadian females are better at fulfilling their mortgage obligations than males. “Single women have a lower tendency to default than males. It has to do with their psychological make-up. 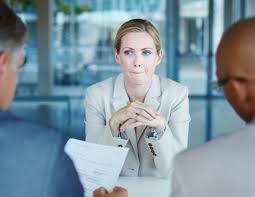 It has to do with risk aversion which women have more of than men,” Scorgie told The Globe and Mail. Canadian Real Estate Association spokesman Pierre Leduc agreed, adding that while no hard numbers on gender-based spending in Canada exist as of present, CREA transactions point at a significant rise in the number of females participating in the country’s housing markets. Toronto agent Suzanne Manvell concurred with these points. Female buyers have been playing an increasingly important role in ensuring the vitality of the housing machinery in North America, observers said. In the United States alone, single women now account for 15 per cent of all home purchases, according to the 2016 U.S. National Association of Realtors Home Buyer and Seller Generational Trends report.